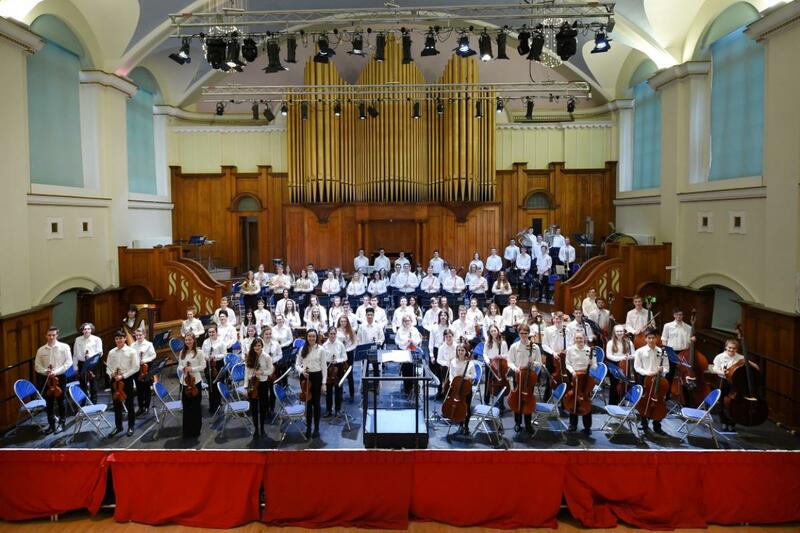 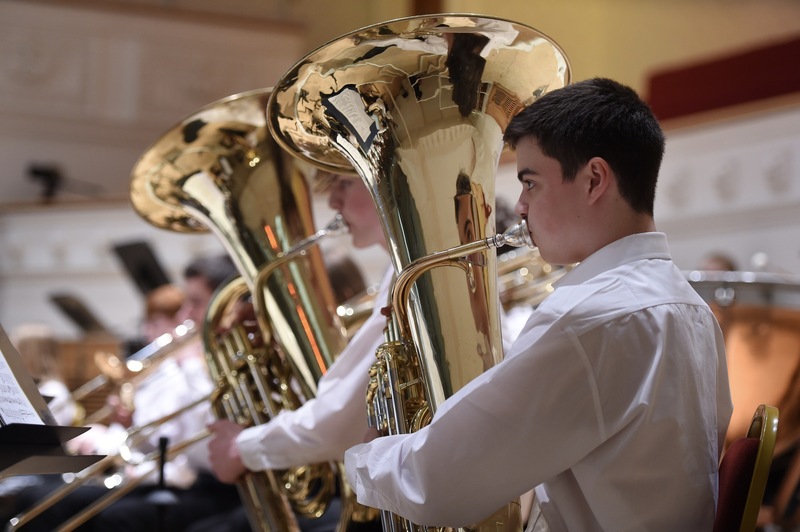 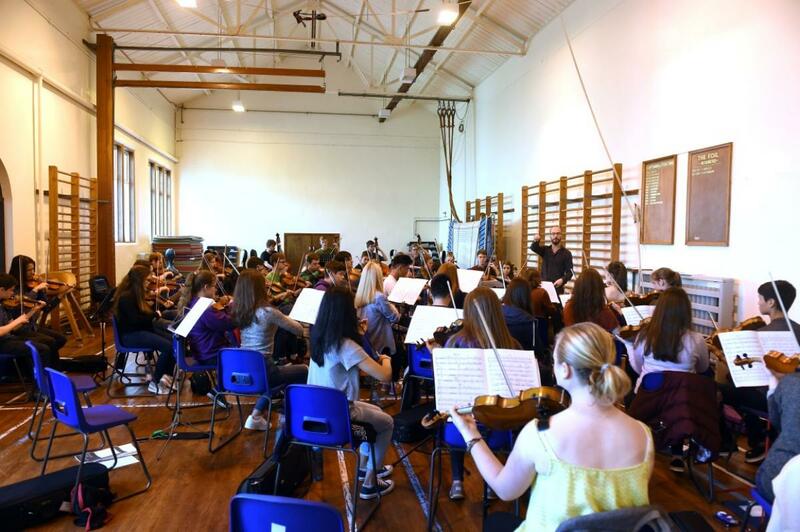 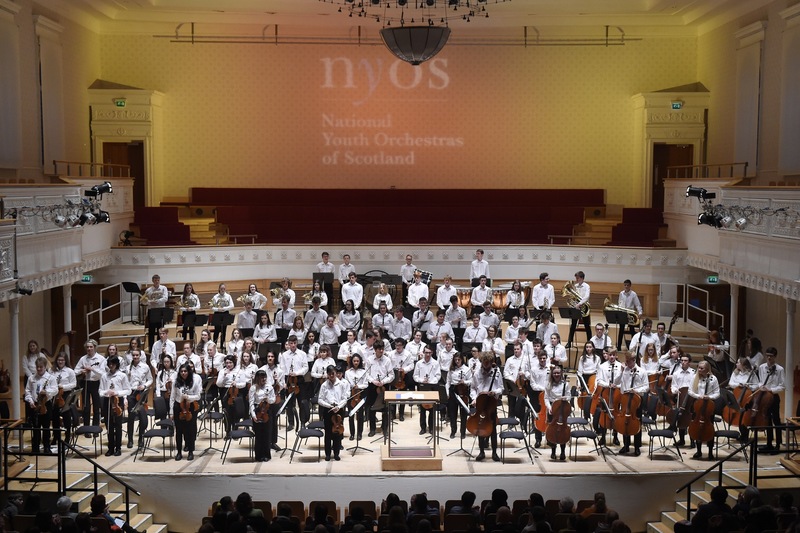 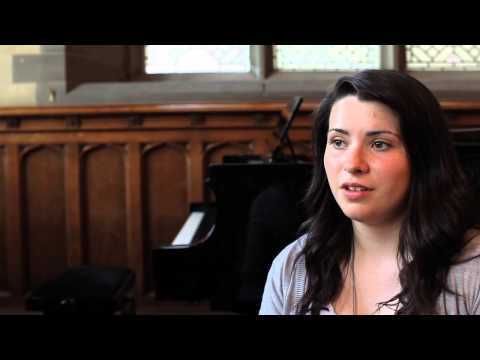 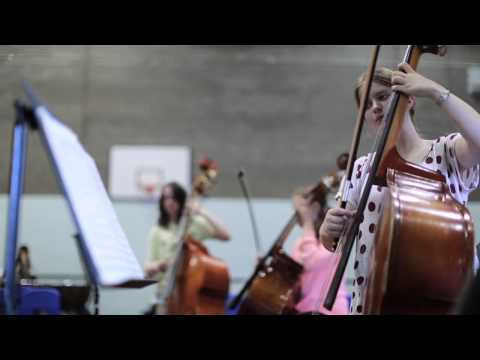 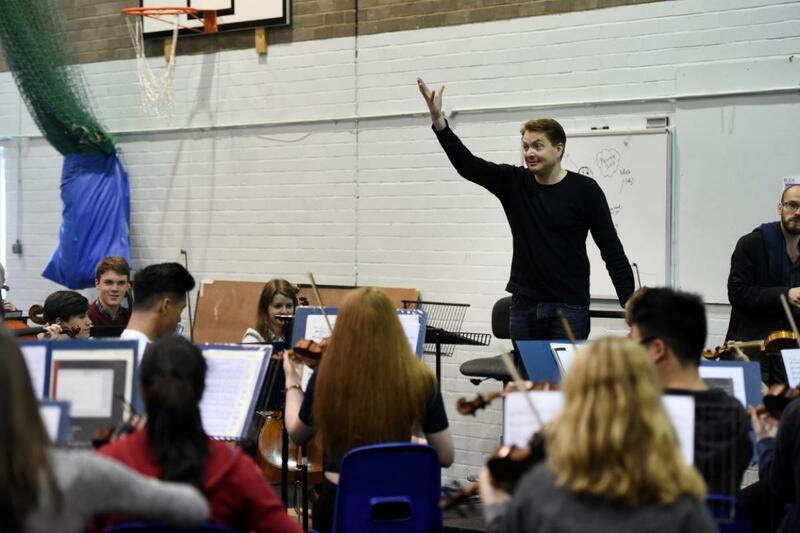 NYOS Senior Orchestra is for musicians aged 13 and over, and the second stage on the classical pathway for aspiring members of NYOS Symphony Orchestra (The National Youth Orchestra of Scotland). 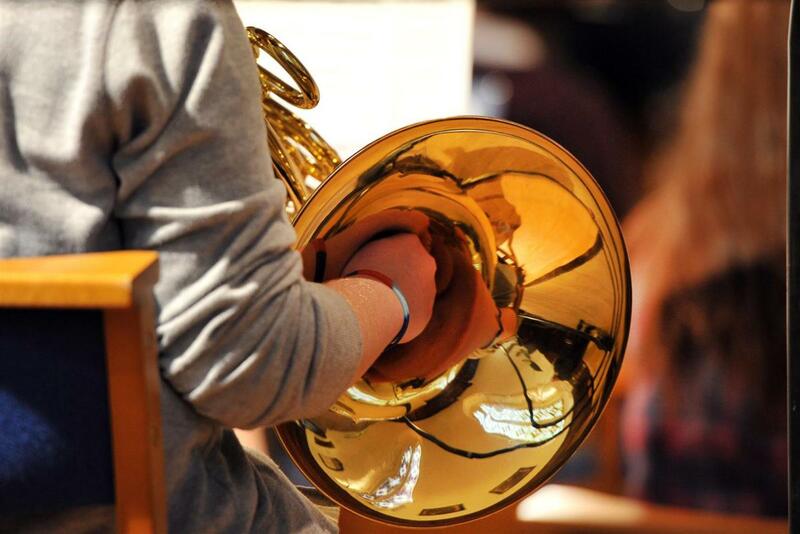 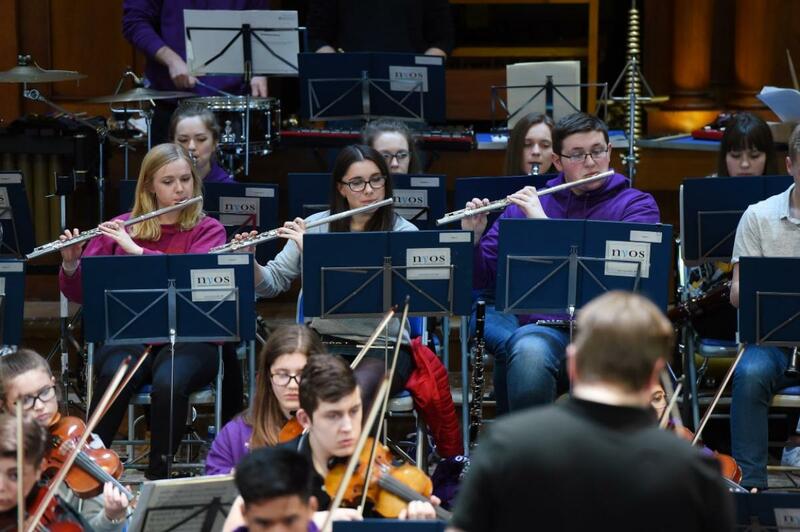 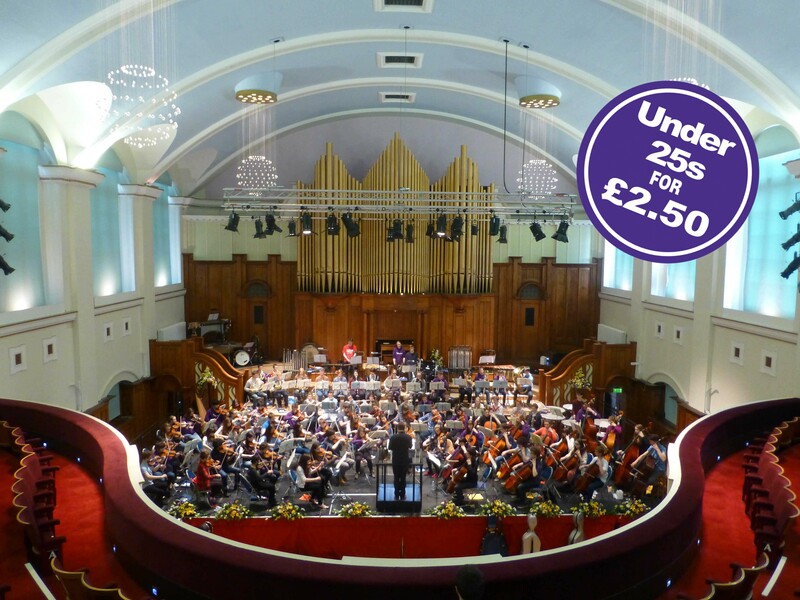 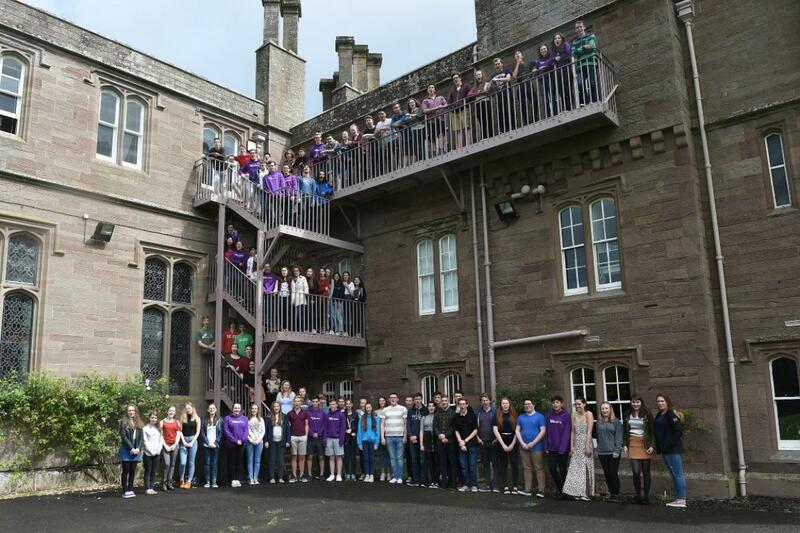 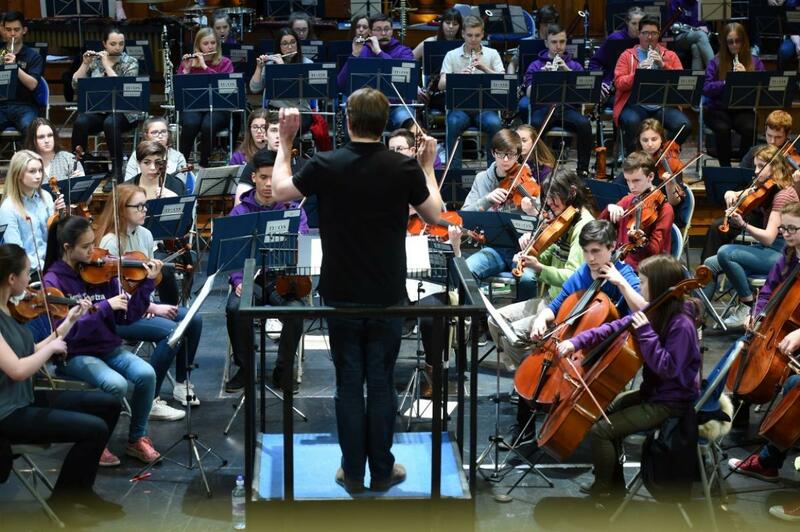 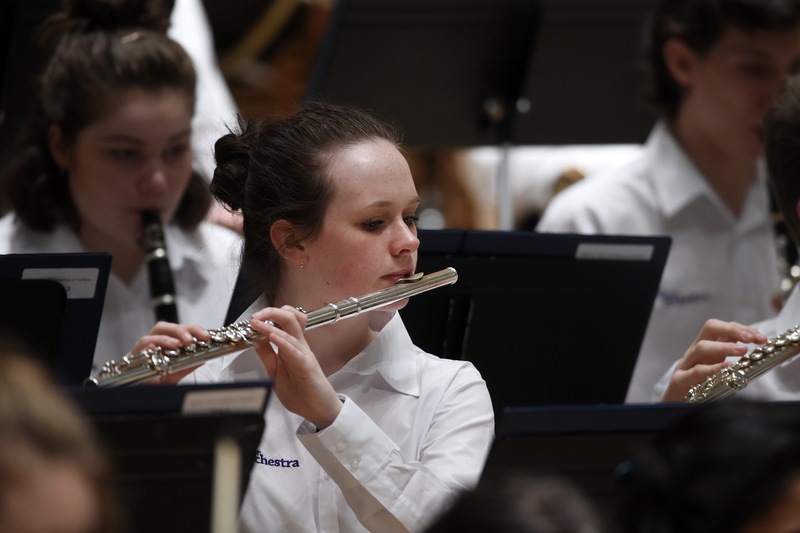 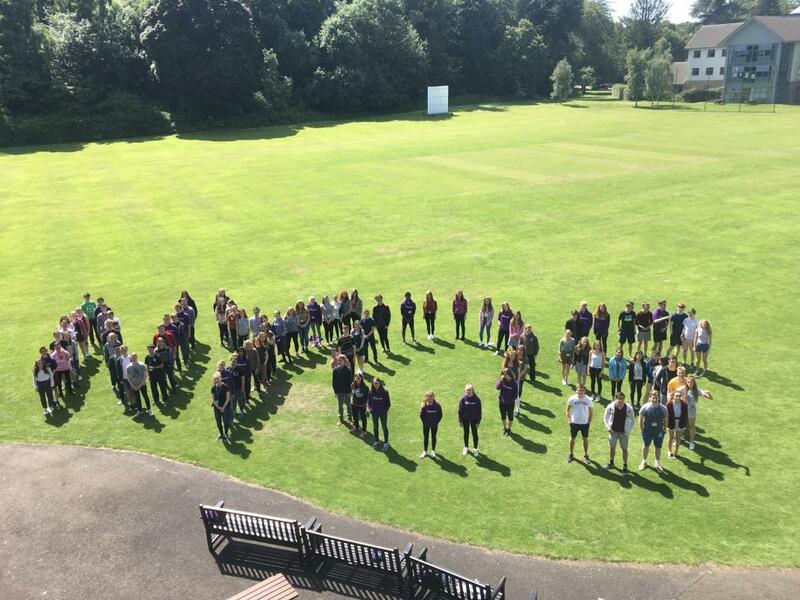 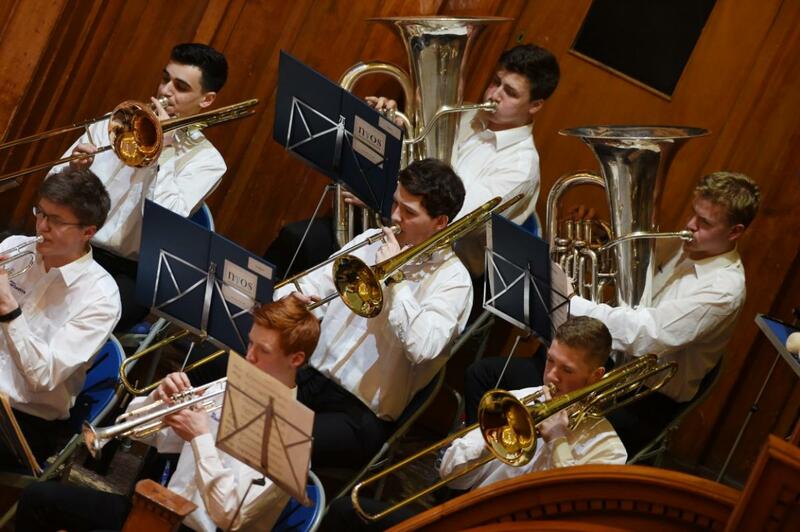 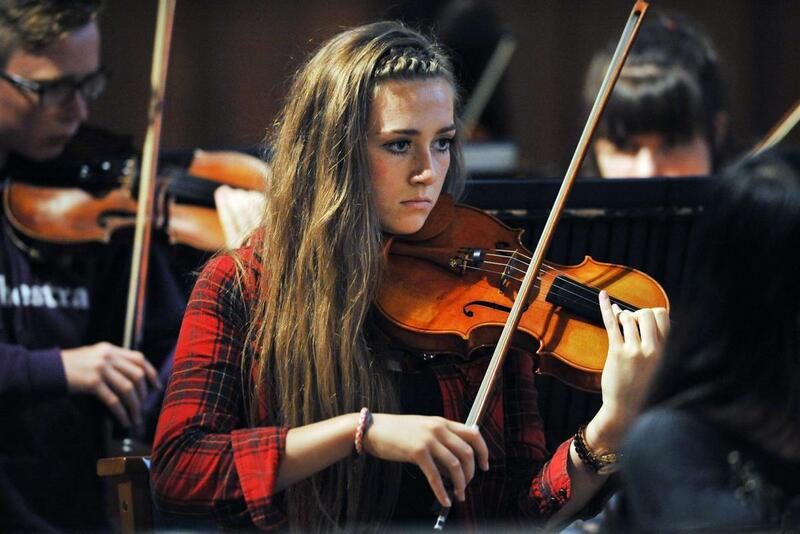 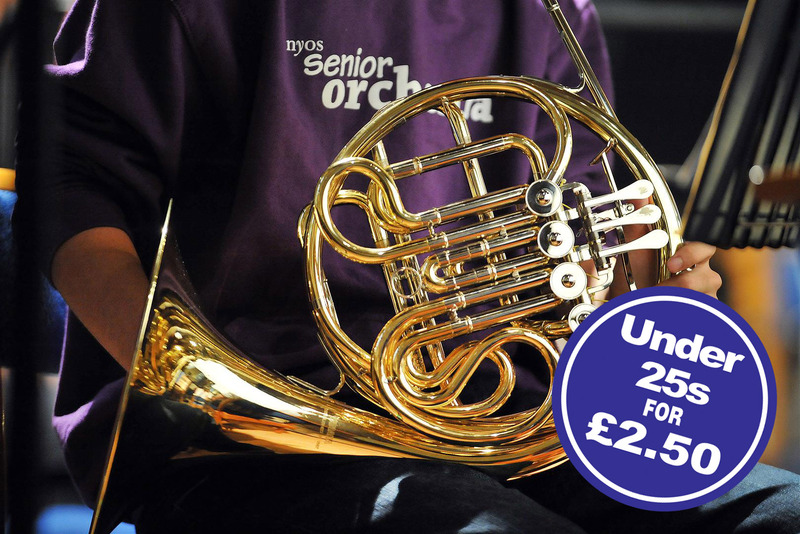 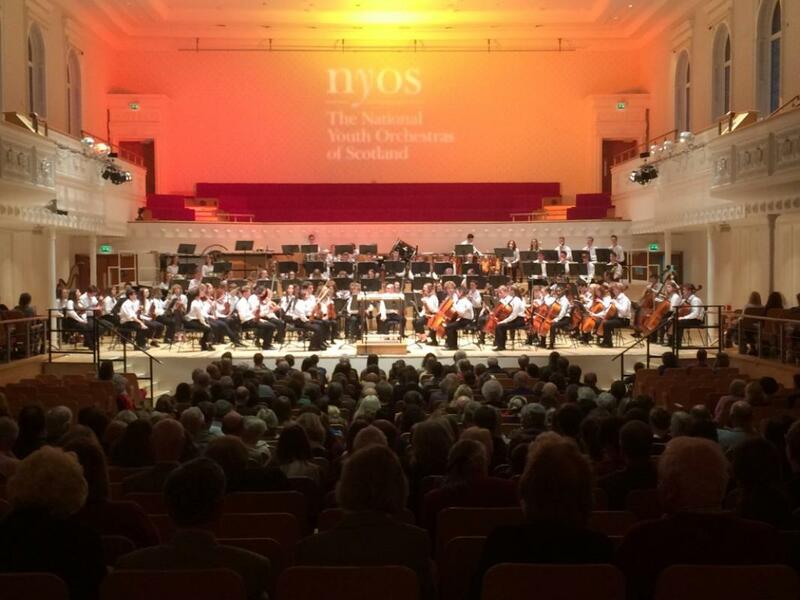 Annual membership of NYOS Senior Orchestra includes residential courses in both spring and summer, followed by the opportunity to experience the thrill of orchestral performance at top venues across Scotland. 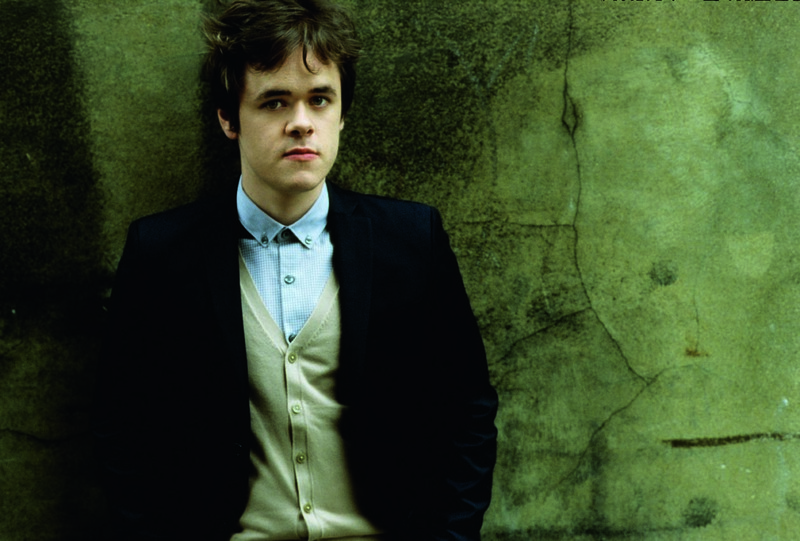 Colin Currie is a solo and chamber artist at the peak of his powers. 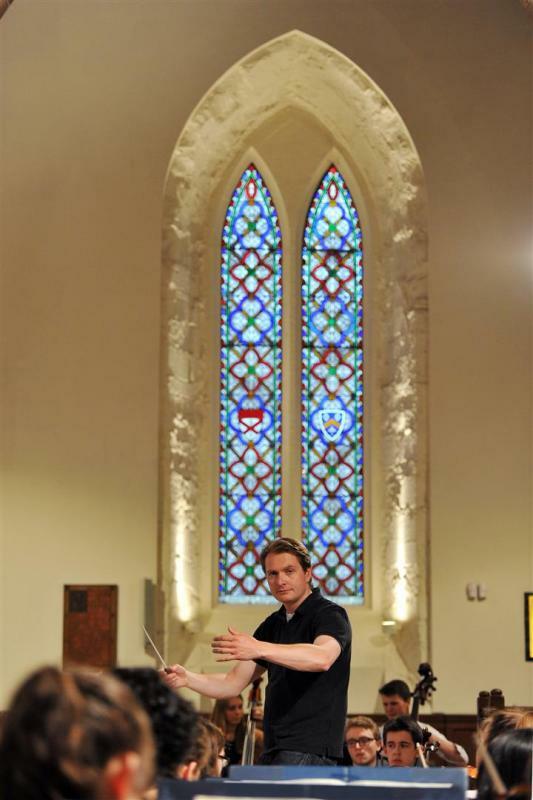 Championing new music at the highest level, he is the soloist of choice for many of today's foremost composers. 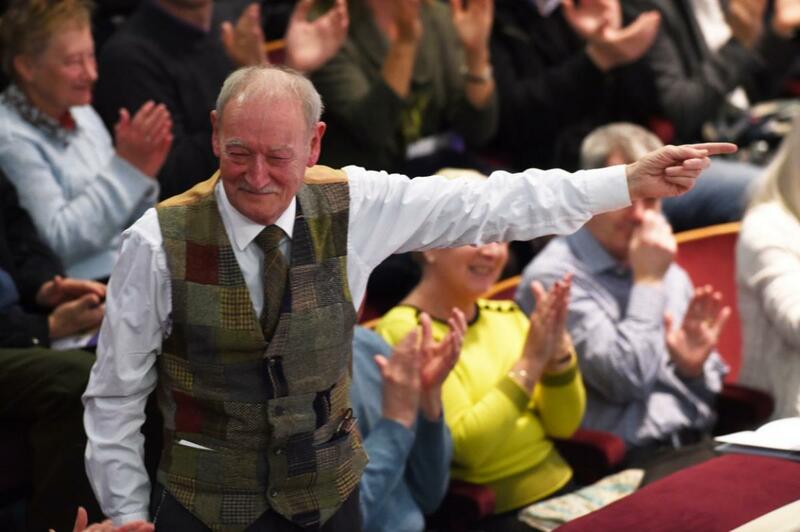 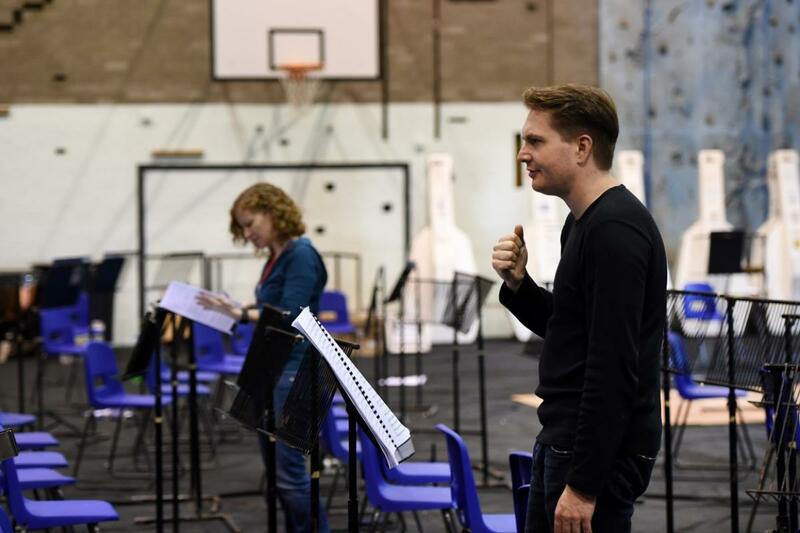 Colin became Patron of NYOS Senior Orchestra in July 2015. 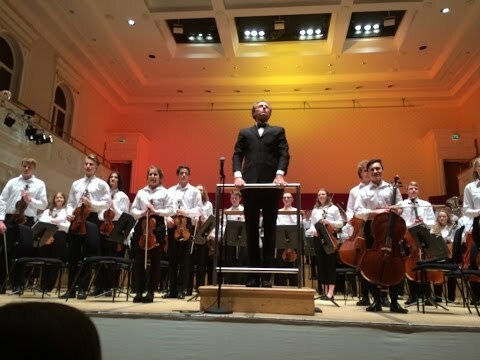 Classical Applications are now closed and will open again in August 2019. 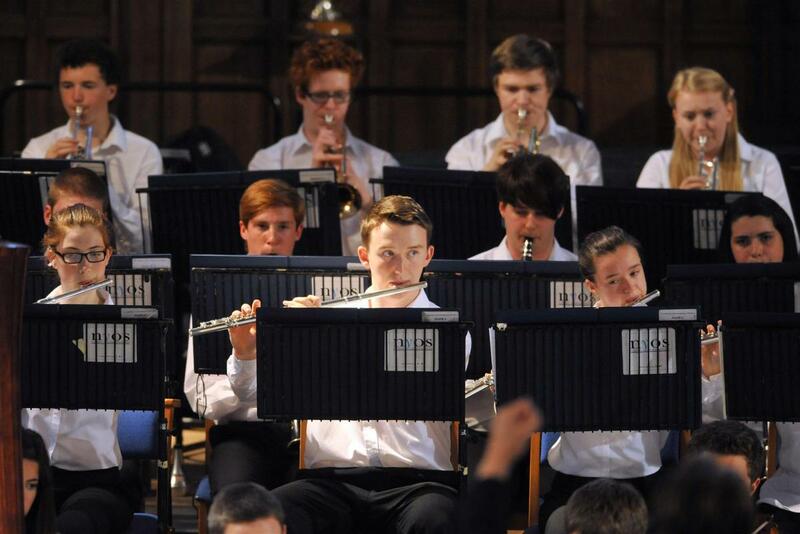 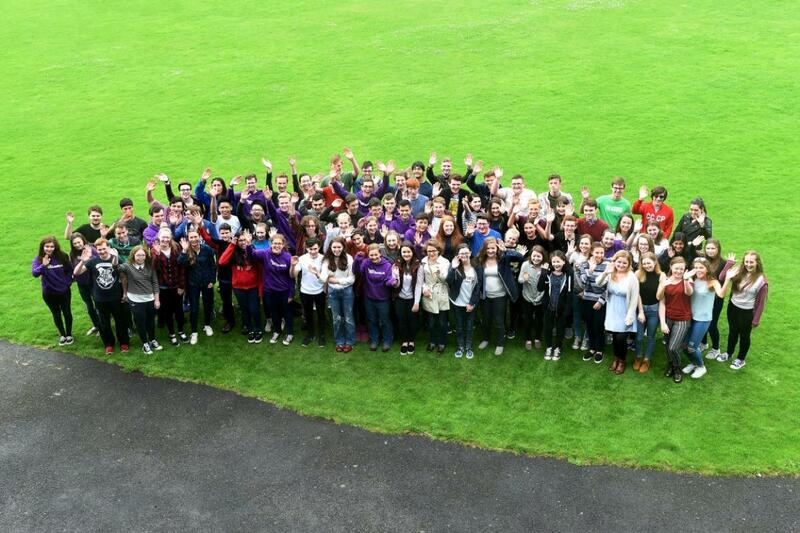 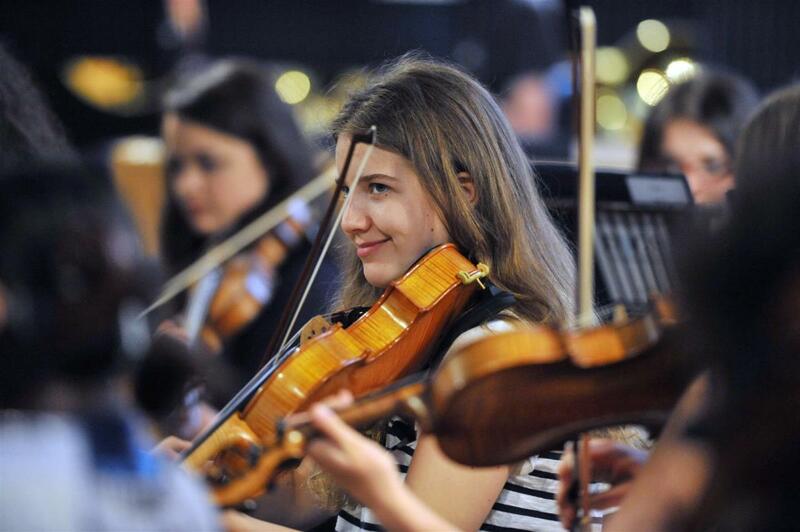 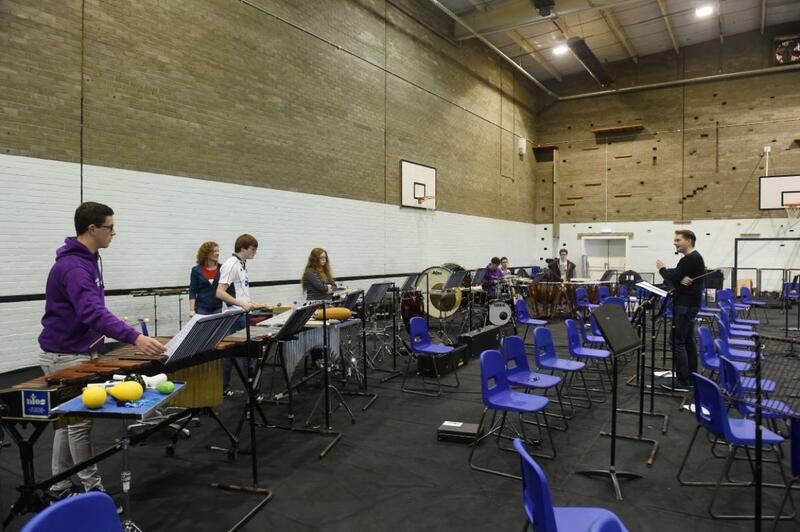 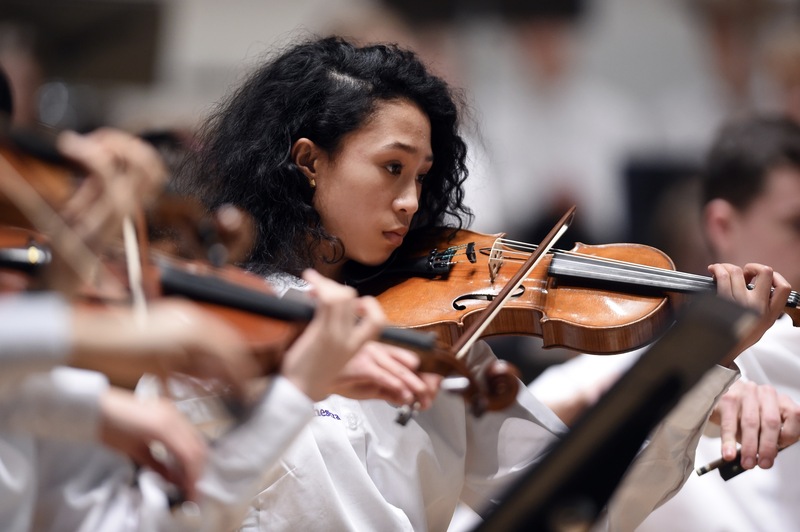 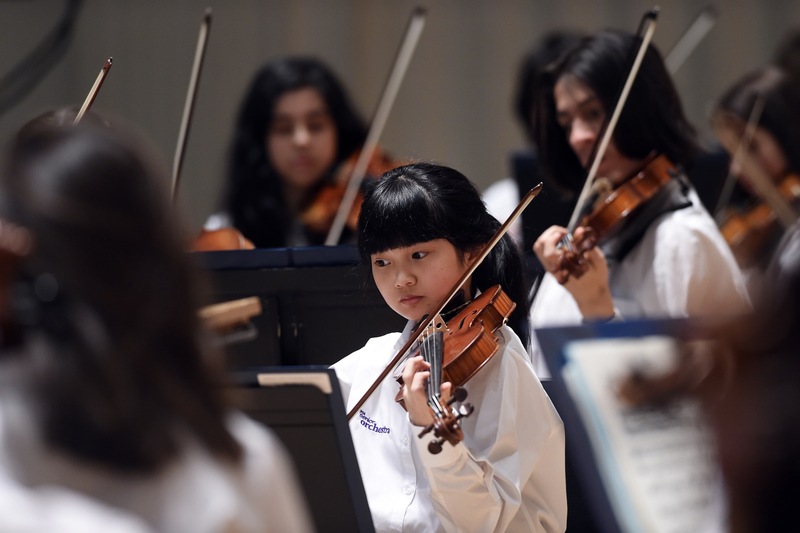 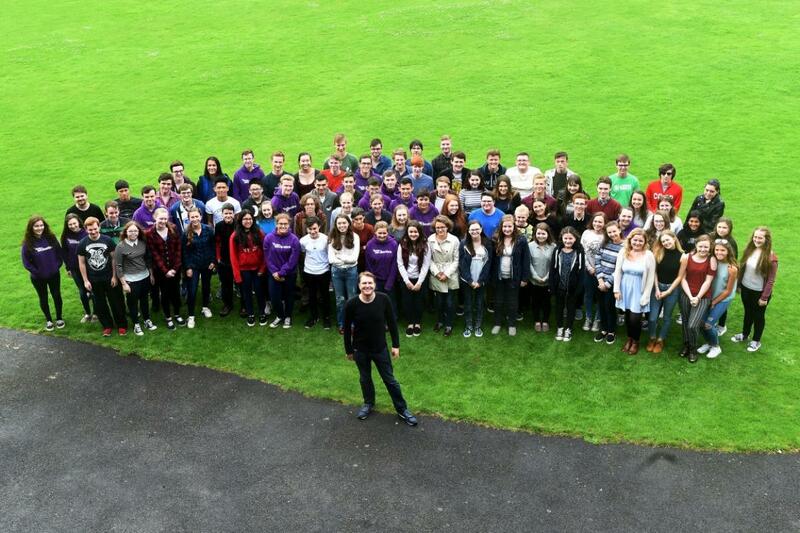 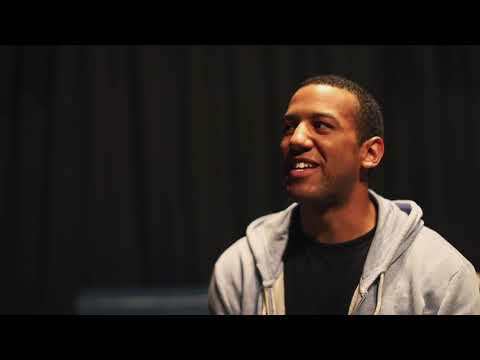 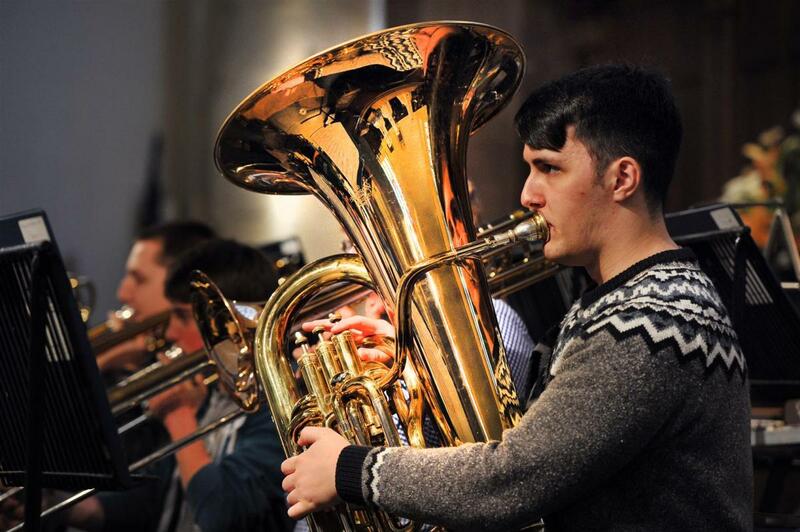 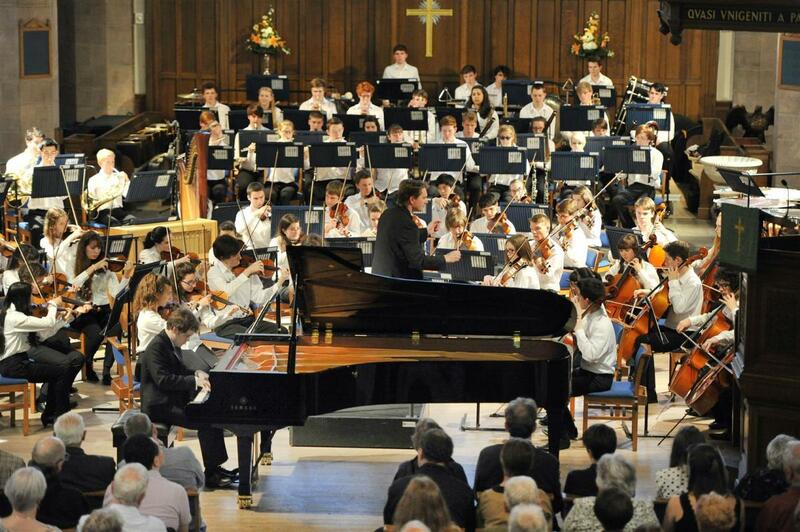 NYOS Senior Orchestra has continued to flourish since its inaugural season in 2013. 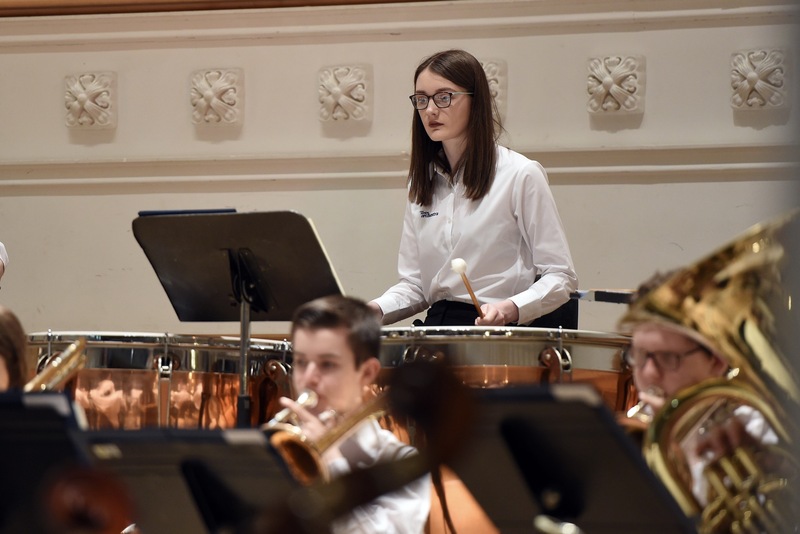 This year’s programme will include Shostakovich’s Festive Overture, a piece previously programmed for Symphony Orchestra, as well as an entire symphony in each concert. 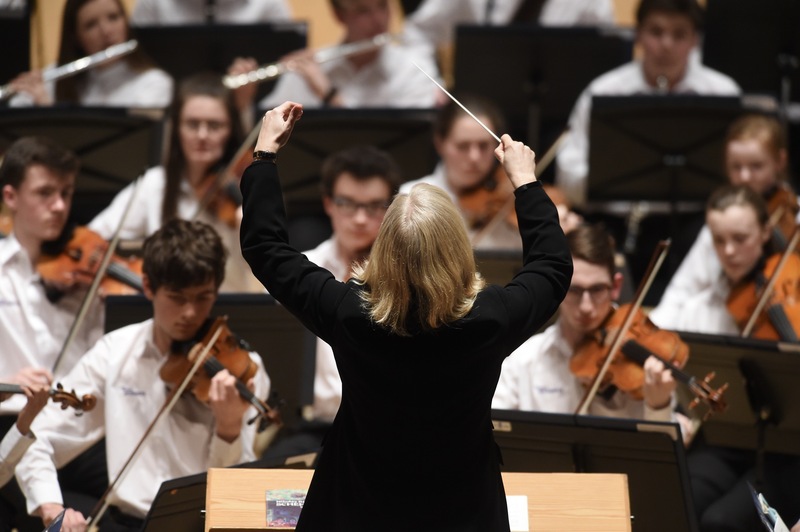 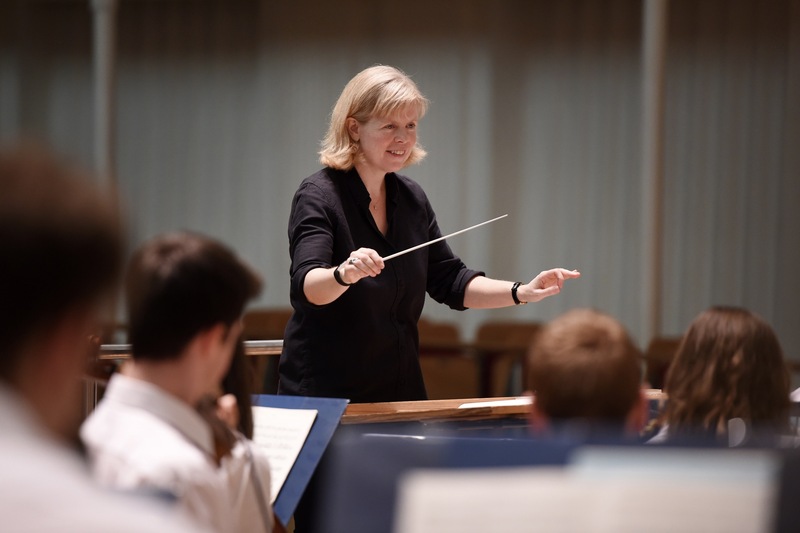 This summer NYOS Senior Orchestra, conducted by Catherine Larsen-Maguire, presents a programme designed to challenge and inspire its members. 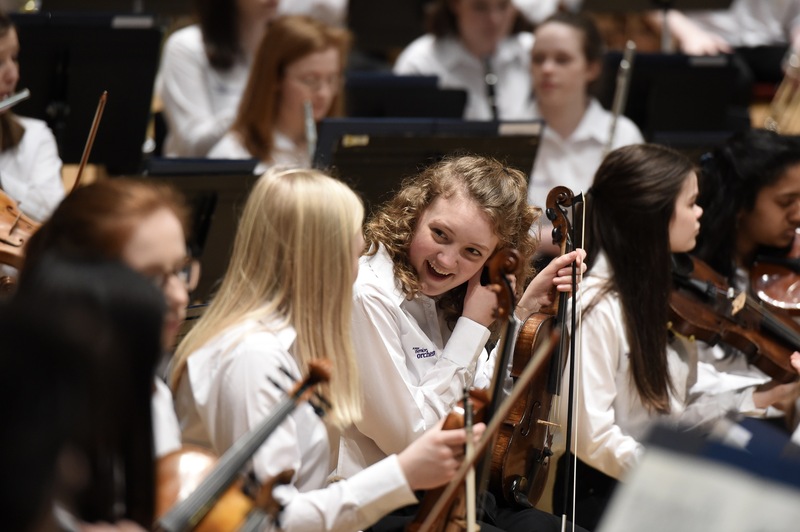 This spring NYOS Senior Orchestra, conducted for the first time by Catherine Larsen-Maguire present a programme designed to challenge and inspire its members with repertoire influenced by nature, sure to captivate its audience. 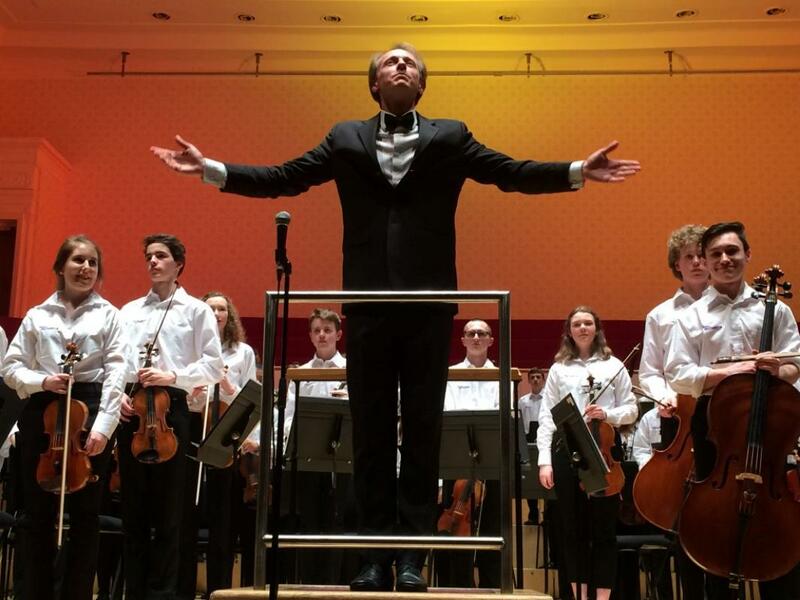 Arrive early for a special pre-concert performance. 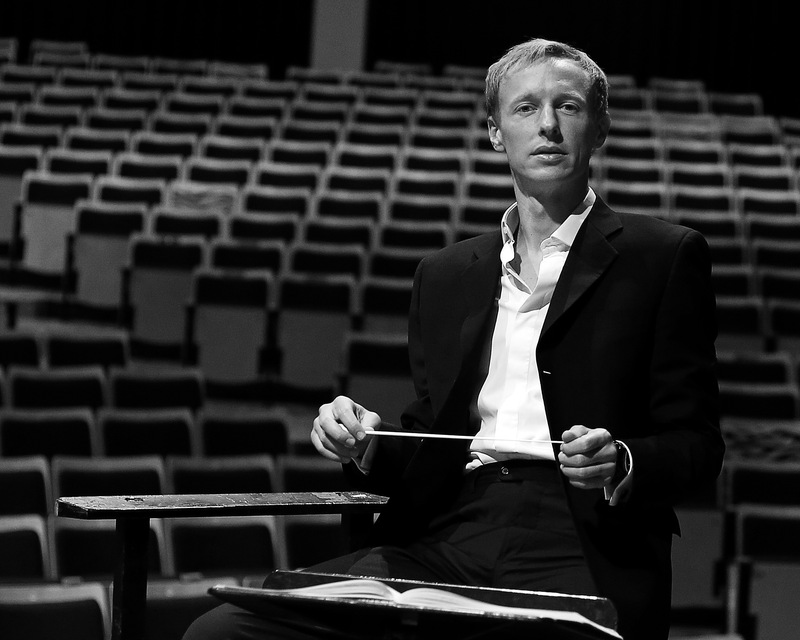 We are delighted to welcome conductor Maxime Tortelier to work with NYOS Senior Orchestra again this summer. 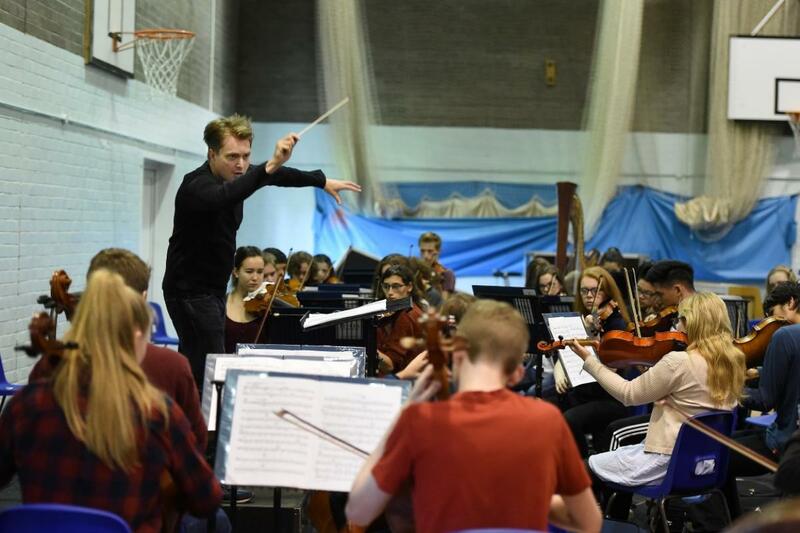 NYOS Senior Orchestra perform an array of exhilarating and horizon broadening compositions inspired by the Americas under the baton of conductor Maxime Tortelier. 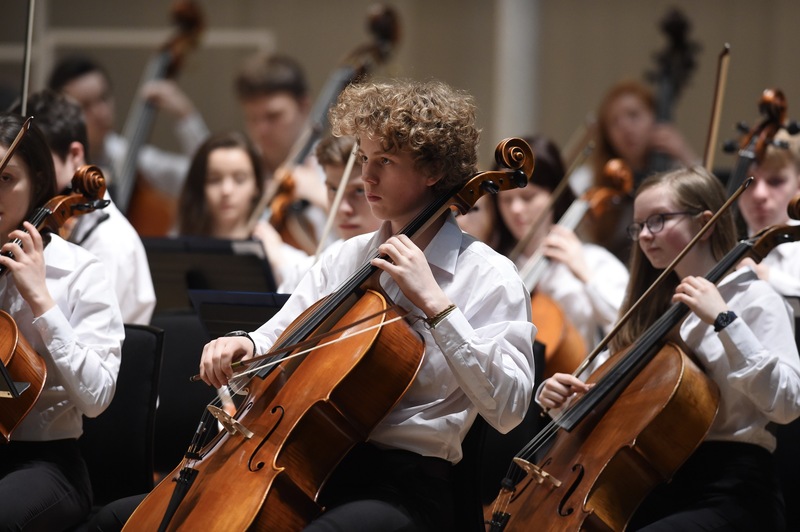 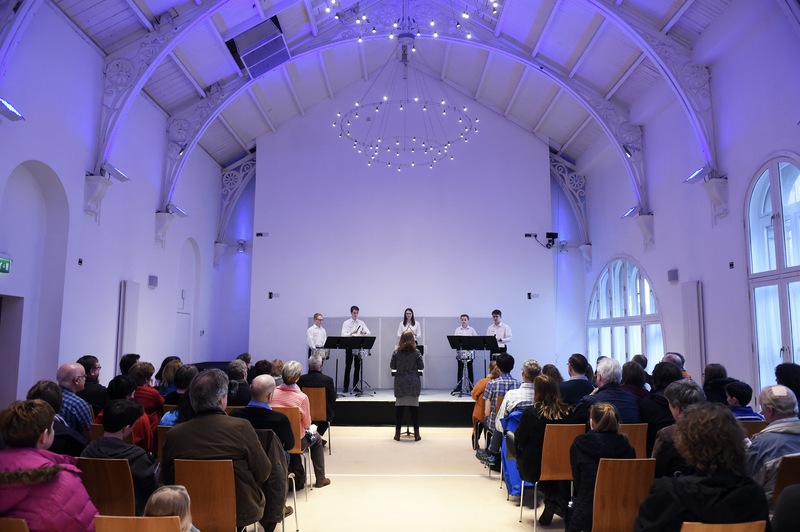 This summer, NYOS Senior Orchestra will make a welcome return to the stunning Greyfriars Kirk for an afternoon performance in Edinburgh. 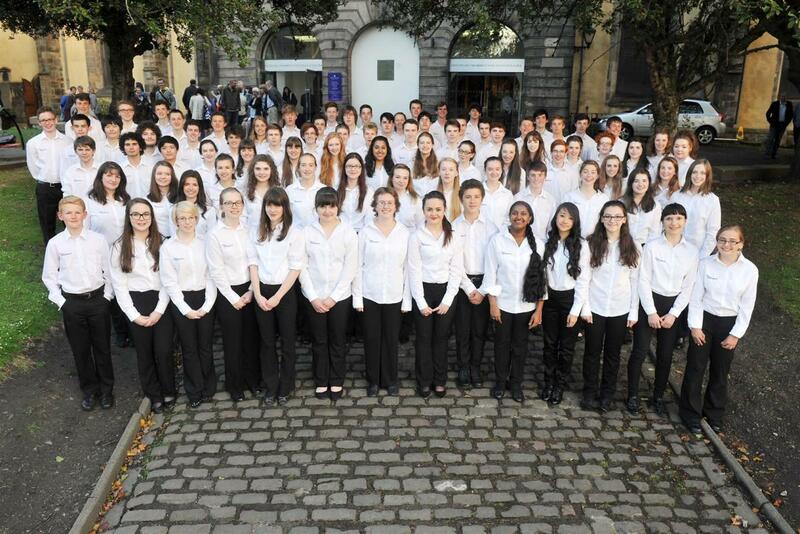 Before that however, the young musicians have the honour of performing at the International Society for Music Education (ISME) World Conference 2016 at Glasgow’s Royal Concert Hall. 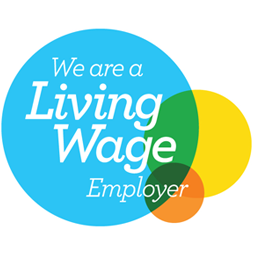 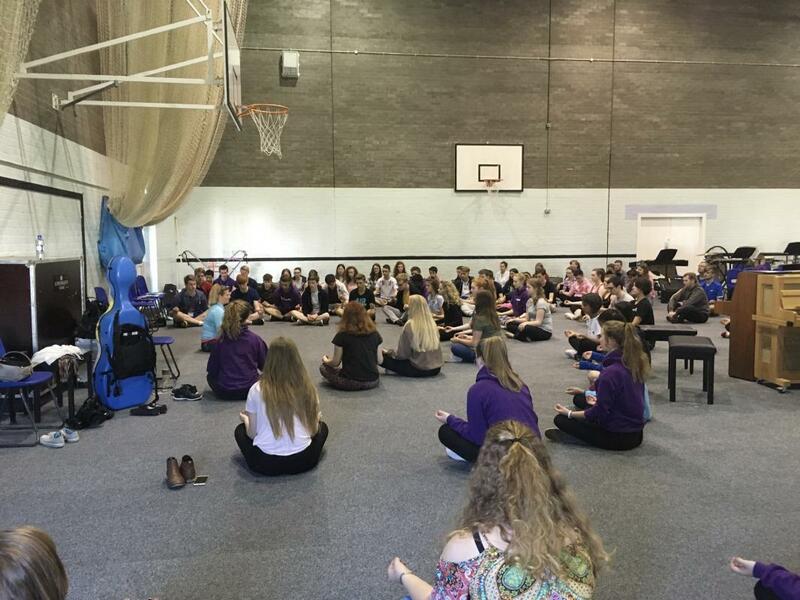 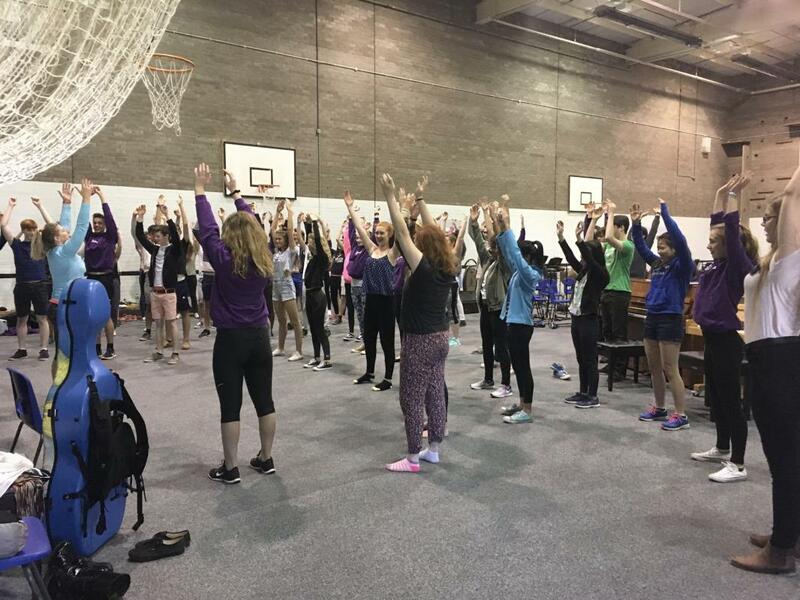 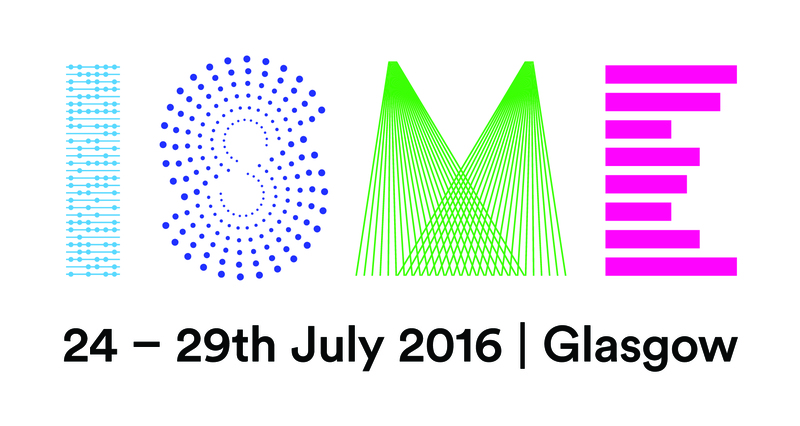 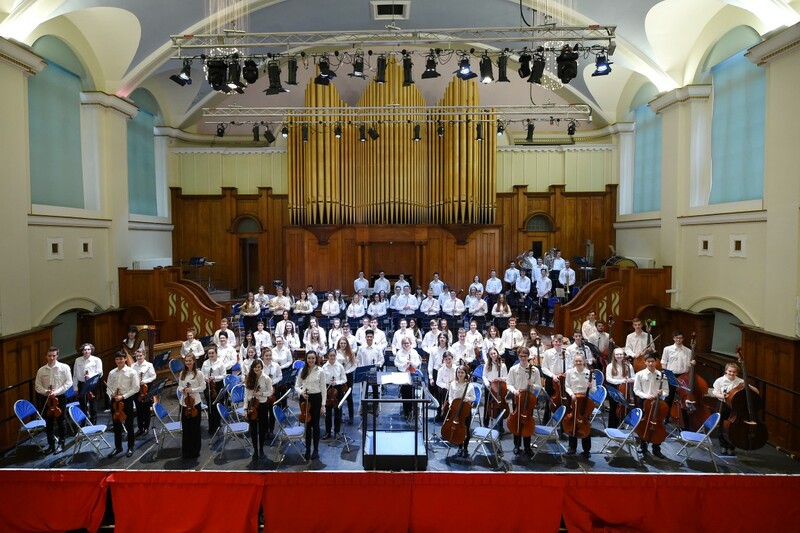 This summer, NYOS Senior Orchestra have the honour of performing at the International Society for Music Education (ISME) World Conference 2016 at Glasgow’s Royal Concert Hall. 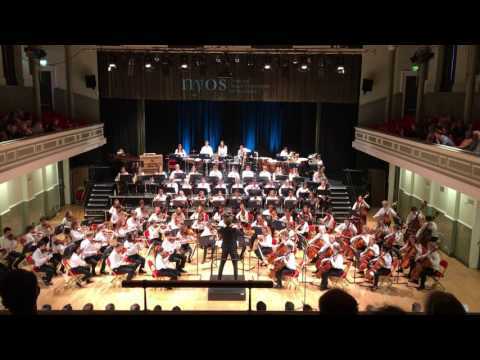 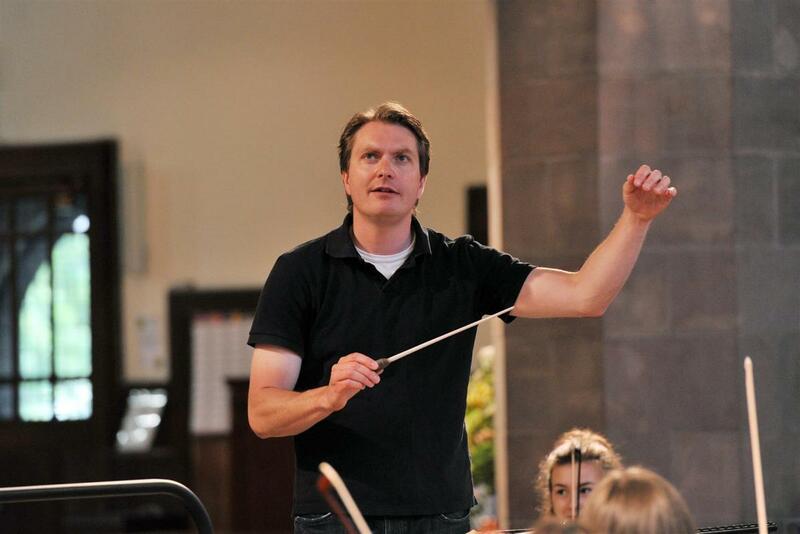 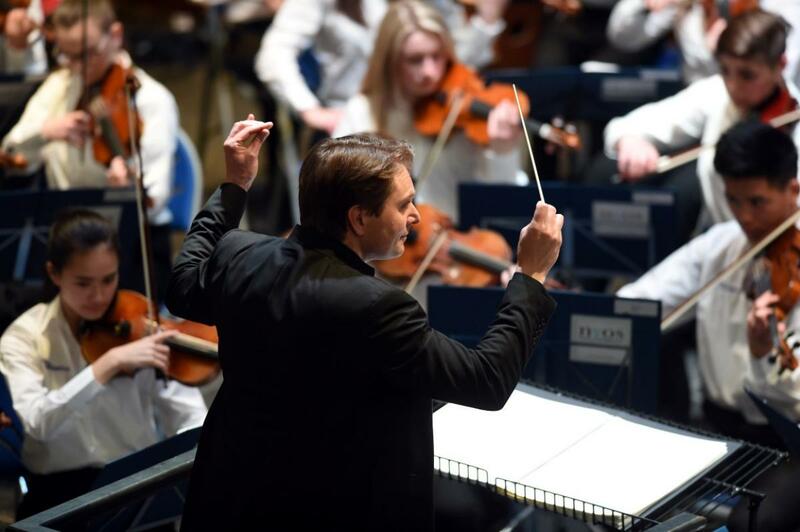 This April, NYOS Senior Orchestra in association with Ayr Arts Guild, make a welcome return to the beautiful Ayr Town Hall with Conductor James Lowe. 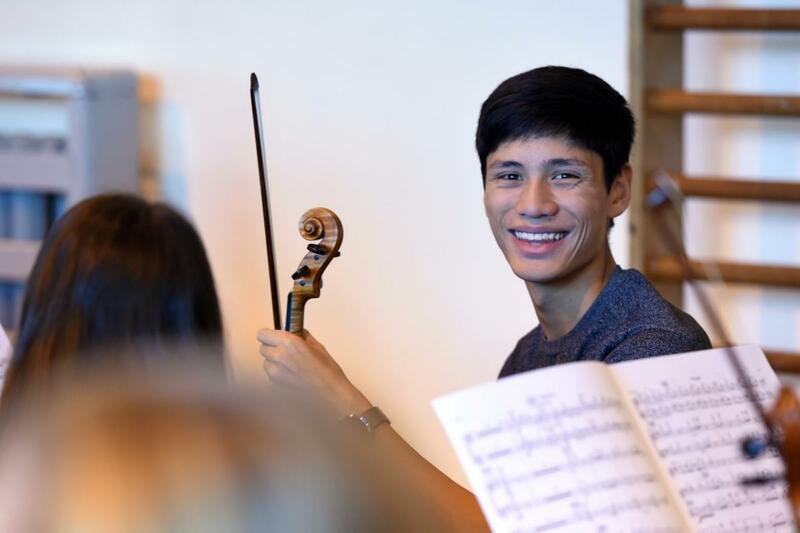 This summer, NYOS Senior Orchestra will be joined by Leonard Elschenbroich - the charming and deeply expressive cellist - to perform Bloch's Schelomo. 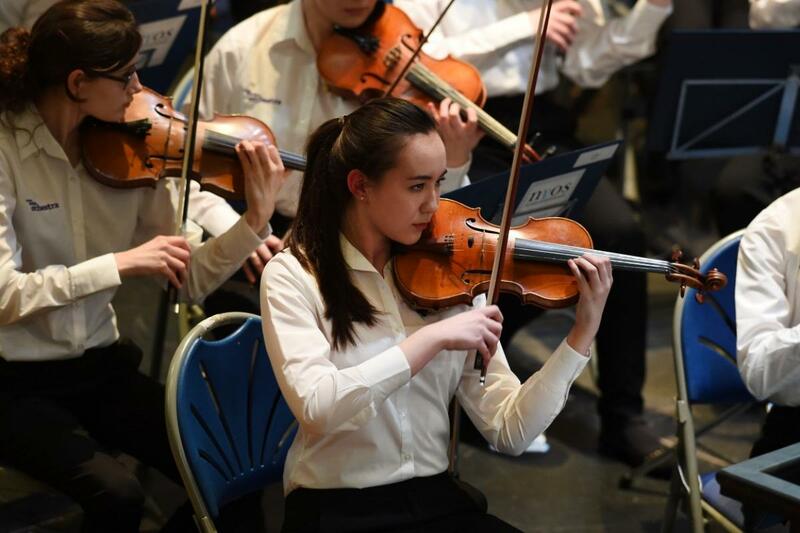 The Senior Orchestra follows it's critically acclaimed 2014 season with a celebration marking the 150th anniversary of Jean Sibelius. 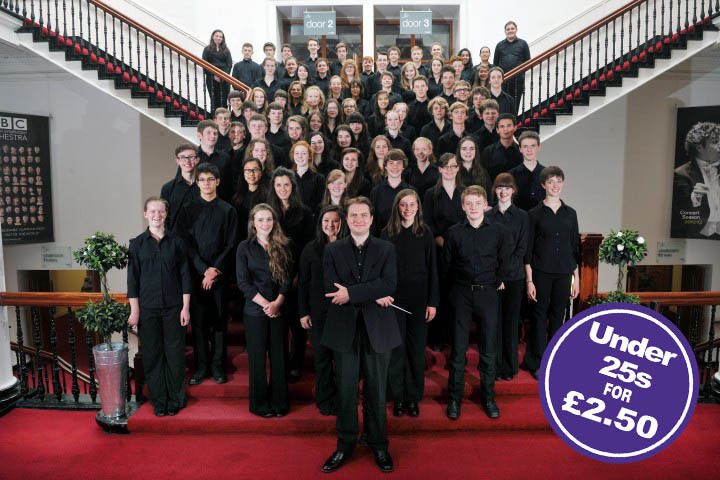 NYOS Senior Orchestra will Commemorate the First World War Centenary this July with Benjamin Grosvenor at Greyfriars Kirk in Edinburgh. 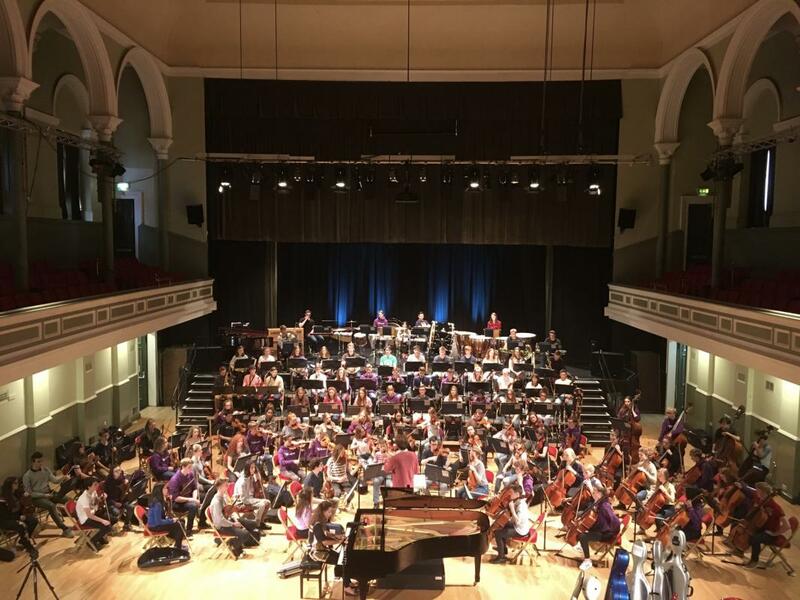 Later on in the month the orchestra takes part in the biggest event during the opening weekend of the Commonwealth Games Cultural Festival. 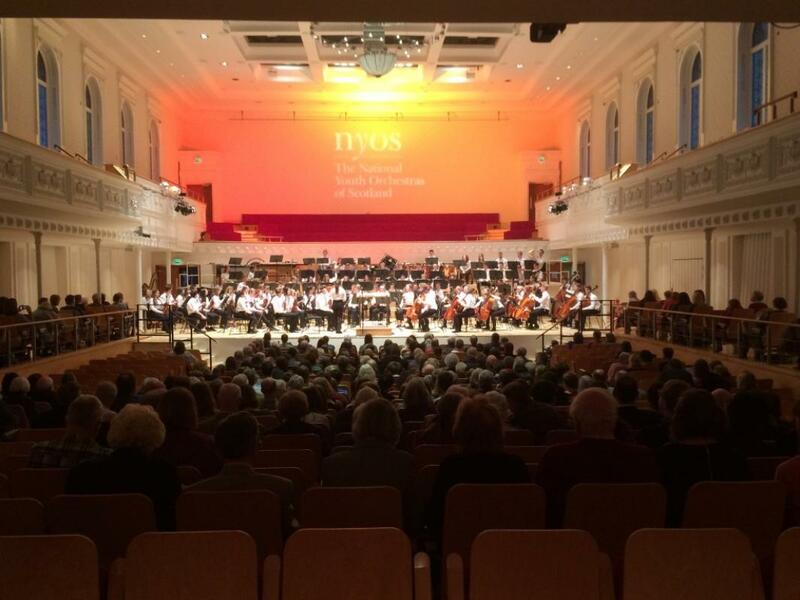 ..a blazing, rocketing and riveting performance of the Symphonic Dances from West Side Story that would have had Leonard Bernstein himself grooving to the electrifying playing of the teenage orchestra. 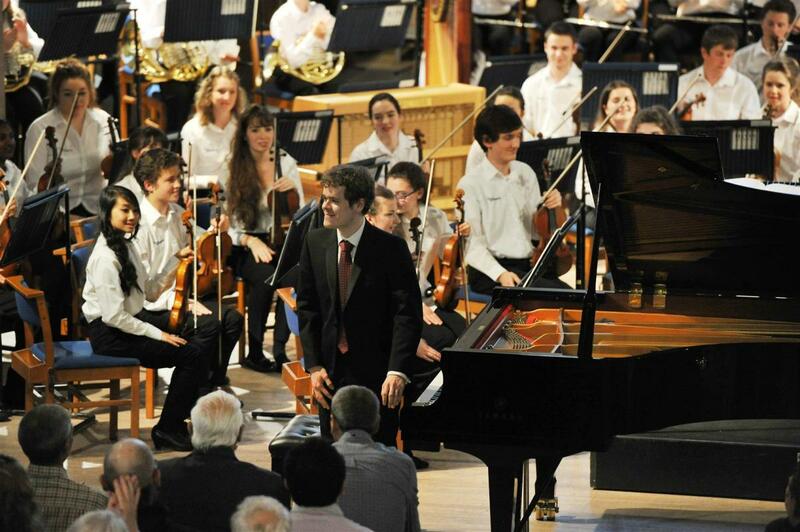 He was here a long time ago, and I will never forget the sight of him doing just that to the rhythms of Candide. 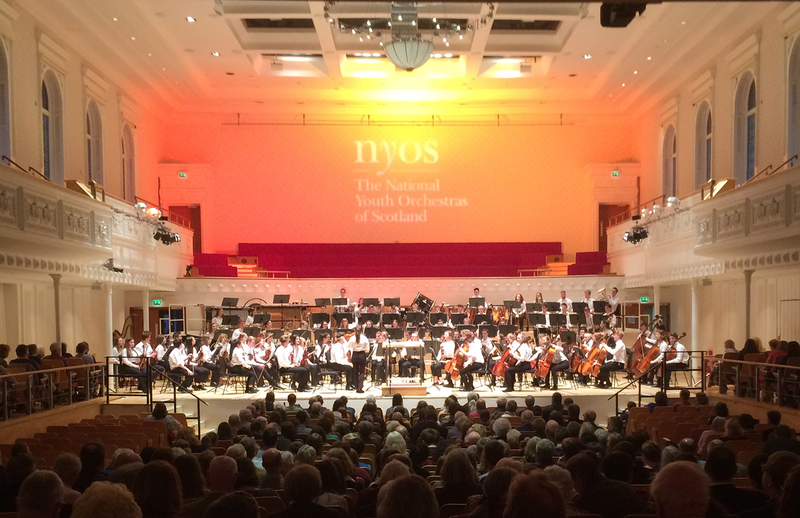 Recently in Perth Concert Hall the Senior Orchestra of NYOS (National Youth Orchestras of Scotland) started on good form, but later was absolutely superb. 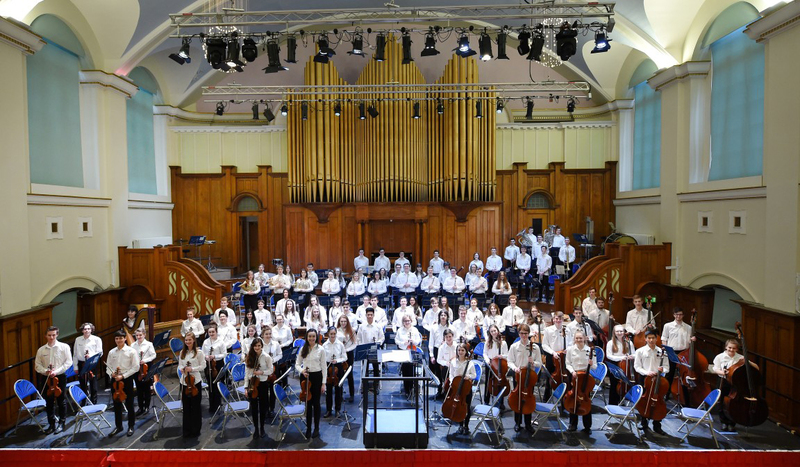 FULL marks to whoever put the programme together for the NYOS Senior Orchestra’s energetic summer concert – it served as the ideal vehicle to showcase the orchestra’s playing in chamber-like intimacy, sparkling modernism and big, blazing Russian tunes. 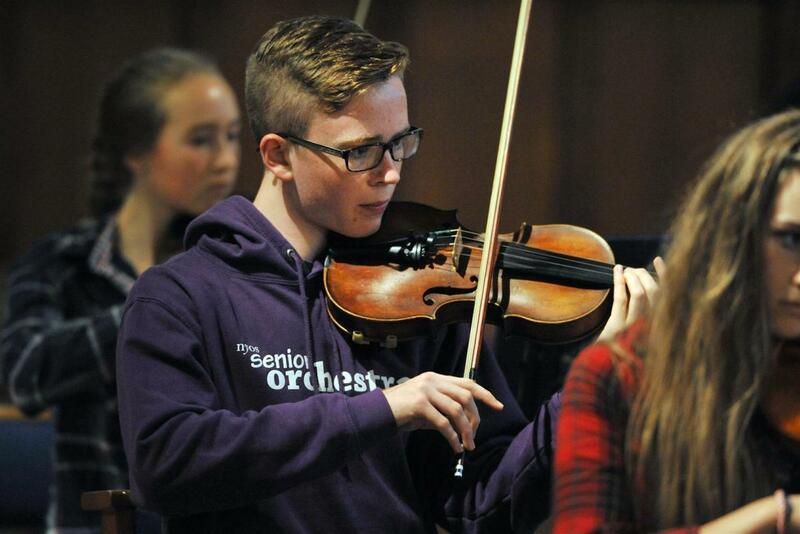 WHAT a cracker of a concert on Wednesday night in Greyfriars Kirk from the National Youth Orchestra of Scotland's Senior Orchestra, delivered by the seniors (up to age 19) with that intoxicating mix of organisation, iron discipline and the magnetic flair of playing that is off the leash, bringing the music roaring from the page and into vivid life.